DEFENDER IS SUPERIOR; Gave the Vigilant a Sound Beating Over a Triangular Course. WON BY 9 MINUTES AND 17 SECONDS The Victory Decisive and Shows the Supremacy of Herreshoff's Latest Racing Machine. BREEZE WAS LIGHT AND AT TIMES FLUKY Expert Yachtsmen Satisfied that Defender Can Hold Her Own with the English Yacht. 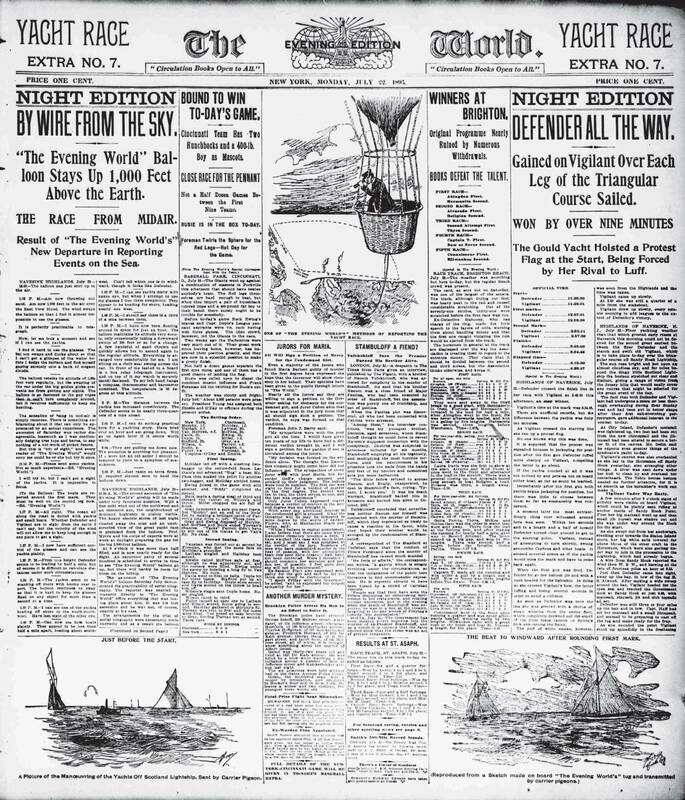 July 23, 1895- The Defender yesterday, in a light breeze and smooth sea, defeated the Vigilant 9 minutes 17 seconds elapsed time over a thirty-mile triangular course. Such a decisive victory over the Vigilant under conditions supposed to be favorable to the old cup defender was rather of a surprise, and a pleasant one, too, for all patriotic yachtsmen.